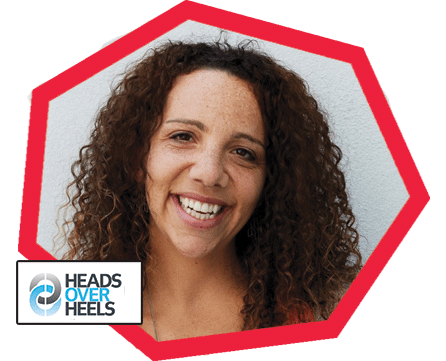 Mandi is a successful entrepreneur who founded Babyology, Australia’s largest digital publisher for parents. With a social media following of 1.2 million Facebook fans and over 1 million unique users per month Mandi knows how to build a digital community. An entrepreneur who launched the business alone in her living room in 2007 and built it into a publisher with a team of almost 25, Babyology was acquired late 2017 and at the time reached an audience of over 1M unique visitors a month and counting, with a Facebook reach of up to 5 million people per week! Mandi was recently named one of Australia’s Top 50 Female Entrepreneurs Under 40 and was included in the book ‘Inspiring Rare Birds’, which showcases inspiring women entrepreneurs in all fields. Mandi has a Bachelor of Commerce degree from the University of NSW and spent eight years in marketing and public relations in Australia and San Francisco before starting Babyology on a budget of $5000 from the dining room table. Mandi has always loved business and launched a cookie company at 23, a relocation business at 25 and then Babyology at 29, which was acquired in 2017. Mandi is currently spending a year in Italy living in Tuscany, advising and consulting with CEO’s to help build their businesses.